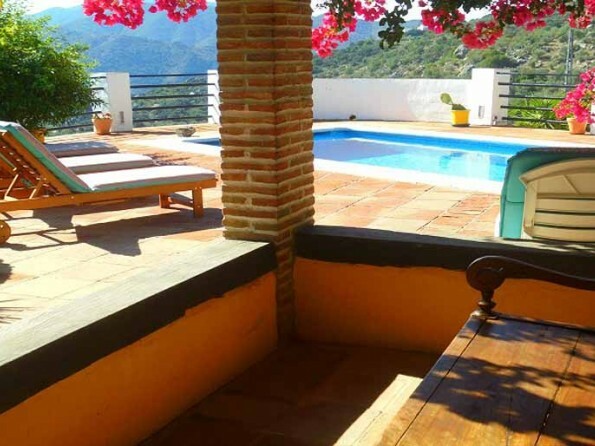 This stunning Finca and Cottage has 20% discount for all summer gaps this year, this is an amazing Finca that can sleep up to 12. There are several properties we manage under Vine Ridge Retreats Management so can usually help with your needs and budget. £100 off all 7 night bookings in 2019. Quote One Off Places. 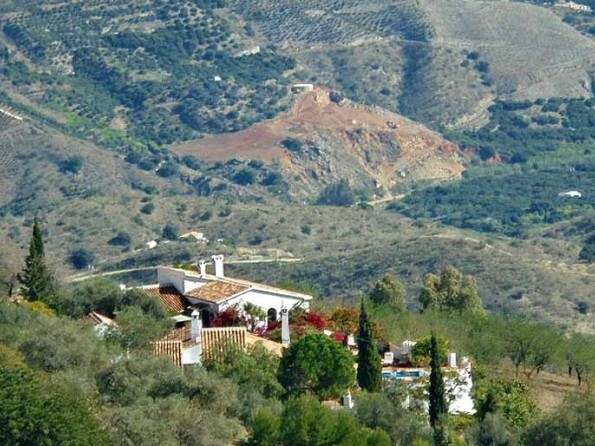 A beautiful finca and cortijo, each sleeping 6 people, nestled below the village of Comares in an unspoilt area of Andalucia in Spain. 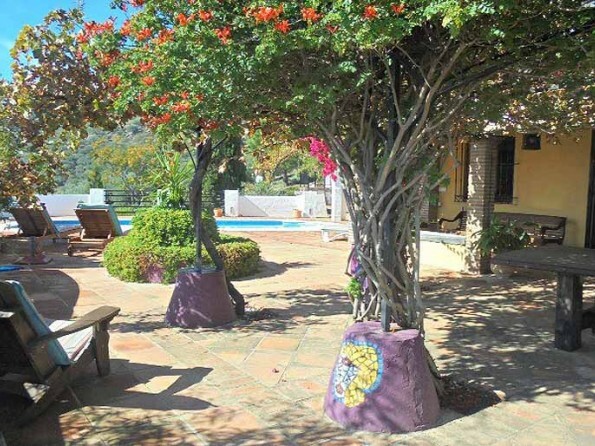 Large gardens, sea views, swimming pool and a 15 minute walk to the village, it’s an excellent location for group holidays of families or friends. 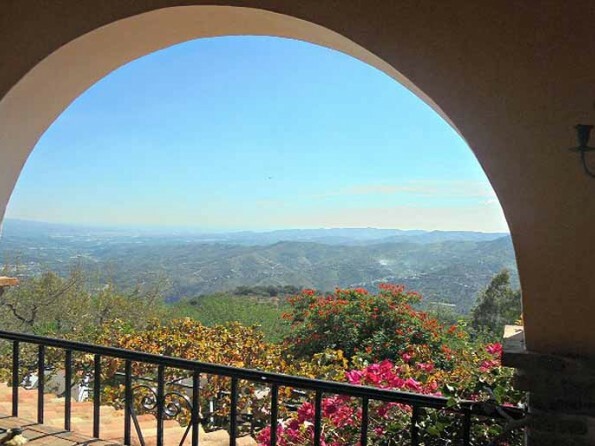 The house is located near to the pretty hilltop village of Comares, a historic and picturesque ‘white village’ with narrow cobbled streets, a 16th century church and a handful of local bars and shops. There are lots of walking routes in the area, ranging from gentle to challenging, and you can also horse ride and enjoy the diversity of bird life. A short drive will take you to the coast, where you can enjoy beach life, watersports and a wide variety of places to eat and drink. Malaga,less than one hour. Granada , within 90 minutes. 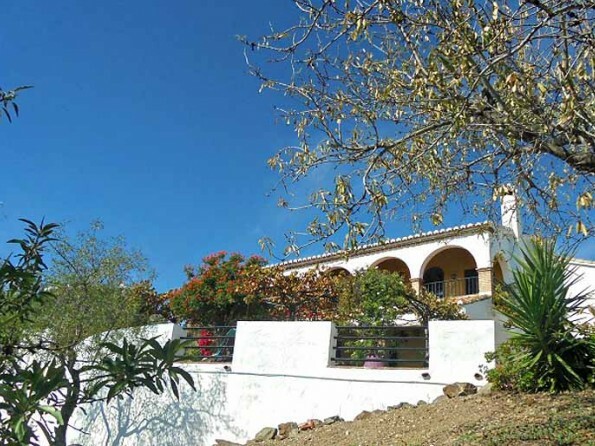 The finca is the larger of the two rentals and sleeps 6 in 3 bedrooms. There’s a large spacious lounge with open fireplace. 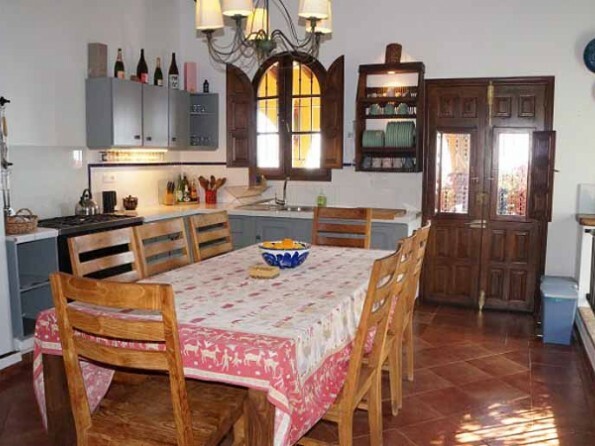 The kitchen is fully equipped and there’s a dining table for 6. 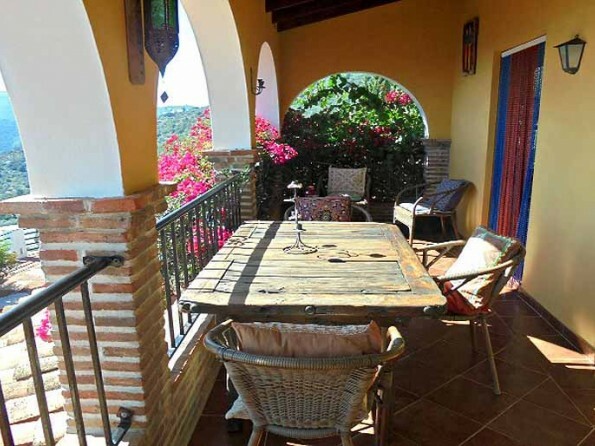 Doors from both the lounge and the kitchen open out onto terraces, some with superb sea and mountain views. There is one kingsize bedroom with an en suite bathroom and doors out to a terrace as well as a further double room, and one twin room. There is a separate family bathroom (where the washing machine is located). 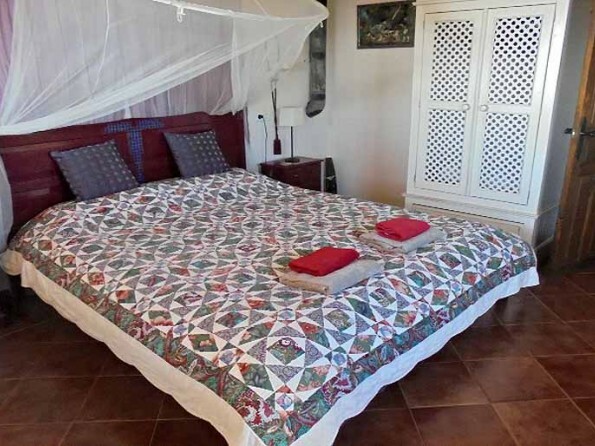 All the beds have mosquito nets. 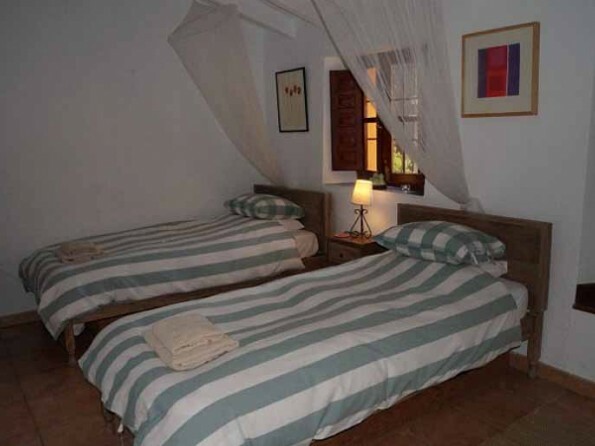 The cortijo also sleeps 6 in 3 bedrooms. 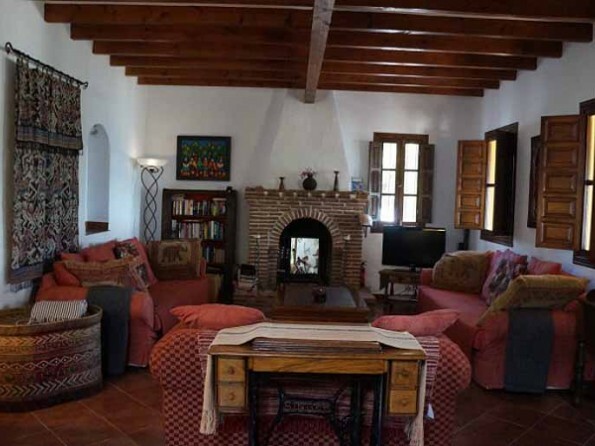 It has a spacious lounge with wood burning stove and doors to the terrace. The lounge also has a dining table for 6. The kitchen is well equipped, also with terrace access. Upstairs one en suite double bedroom and two twin bedrooms, as well as a shared family bathroom. 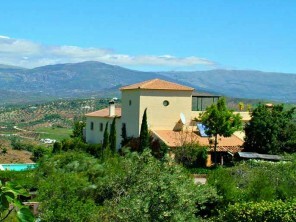 The properties have TV, DVD and wifi, and a collection of books and games. 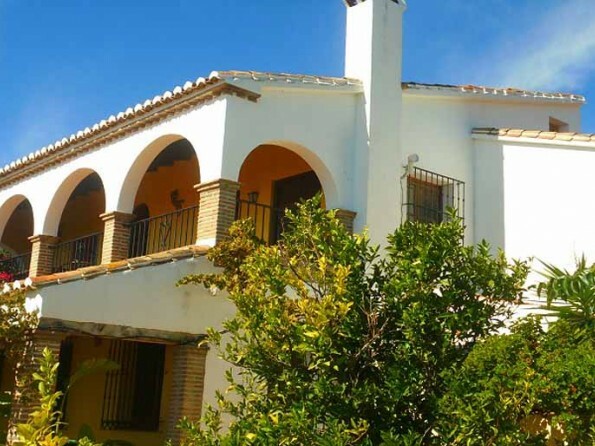 La Zahurda is set in a large garden with plenty of terraces, and a great choice of both shady and sunny areas. 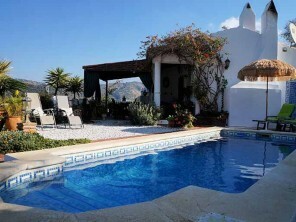 The pool is 8m x 4m with roman steps and a tiled outdoor shower area. There is a large outdoor dining area shaded by vines and a gas BBQ. There is also a sand covered 9x6 boules court. Parking for four cars. Minimum stay is 7 nights and rates vary throughout the year. 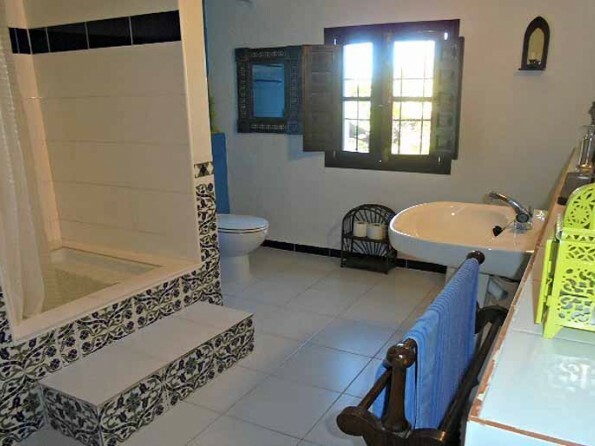 The properties are either rented as a whole or in the quieter season maybe one for smaller groups with the other closed off so you still have privacy.